NOTE: The Emerald Beach Hotel is offering a courtesy rate of $99.00 + tax for the January 11-13, 2019 DAV District 20 Conference. The rate is for a standard king or double room, single-quad occupancy. Maximum 4 people allowed per room. Hotel has free parking and free wi-fi. Please call reservations at 361-673-9076 and refer to the group code TDAV. We are already hard at work preparing the information and training materials needed by your chapter members to be successful in our single purpose – empowering veterans to lead high-quality lives with respect and dignity. We hope to see all chapters present to take advantage of this opportunity to learn as well as share helpful information with others. Robert’s Rules – How Does It Work? Adopted Department Initiatives – What’s New? …as well as a more in-depth informative look at other must-know topics of which many new members are unaware. But that’s not all. 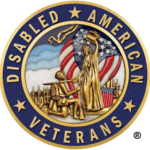 Plenty of time will be available to provide for camaraderie and networking amongst other DAV members from across the state. This will include a Meet and Greet Reception the evening of Friday, January 11th. Then on Saturday, January 12th, lunch will be provided to everyone – cost included in the $15 registration – giving everyone more time to socialize and share with others. To make this successful we really need your help! Please share with us a list of your chapter members who are planning to attend the seminar using the enclosed form and mail it back to Department Headquarters by November 16, 2018. That’s it! Prepayment of registration is not required but it is recommended. The list itself is most important in helping us to prepare for the possible number attending. As always, we love to hear from you at Department Headquarters, so please don’t hesitate to contact us.